A team of superheroes based off DC Comics is coming to the small screen-but it’s not the Justice League. 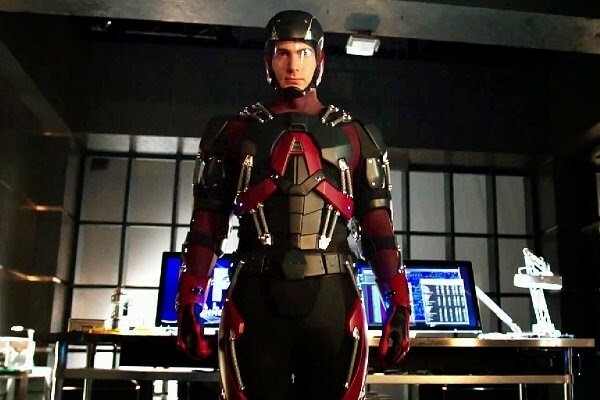 Brandon Routh, currently starring as Ray Palmer/The Atom in Arrow, would star in the new spin-off. Deadline reports that the CW is in the process of developing a Superhero Team-Up spin-off series with several characters that have been featured in Arrow and The Flash. The network has reportedly joined forces with the creators of Arrow (Greg Berlanti, Andrew Kreisberg, and Marc Guggenheim) to create the new spin-off with Brandon Routh and Wentworth Miller reprising their roles as Ray Palmer/The Atom and Leonard Snart/Captain Cold while Victor Garber would reprise his role as Dr. Martin Stein from The Flash. One other name was featured in the report: Caity Lotz. This casting raises eyebrows as Lotz’s character Sara Lance, aka the first Black Canary, was killed off in Arrow’s 13th episode of the 3rd Season. There’s no mention of whether or not she’d play the same character, revived from the dead, or cast as a new character. If the network green lights the new spin-off, it would be the third in the shared DC Television Universe established in Arrow and The Flash. Although the Superhero Team-Up series is in the early stages of development, there’s the potential of more characters introduced in both shows to appear in the new series. Deadline reporter Nellie Andreeva also reports an exclusive report that the new series would include three DC Comics characters that have not appeared on television. Still unknown is whether or not the Supergirl series on CBS, which was originally pitched to the CW, will be part of the shared television universe. The Supergirl series is being developed by Greg Berlanti and features several crew members who worked on Arrow and Flash, including writers, producers, and the costume designer. At this point in time, the project is not connected with the CW’s current pilot cycle but has the potential to go straight-to-series with a midseason debut in the 2015-16 television season. Thanks for this information. Having a scoop on this is going to score me brownie points with my sons.